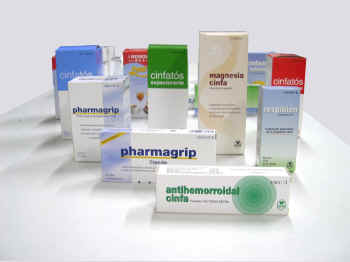 Navarra export catalogue - Laboratorios Cinfa, S.A.
At CINFA (www.cinfa.com) we develop, manufacture, and market generic pharmaceuticals, OTC and orthopedic productos. Established un 1969, the company was crated by a group of pharmacists aiming to achieve a significant industrial presence in the pharmaceutical market. Today we are an international oriented company, with two subsidiary plants: a commercial unit in Portugal and a manufacturing and marketing facilities in Sao Paulo, Brazil. CINFA has a presence in more than 27 countries. CINFA has more than 35 years of experience in the Pharmaceutical and healthcare industry. The Company enjoys a firmly established presence in the Spanish market, being among the leading pharmaceutical manufacturers in Spain. With over 300 employees, we have modern facilities adapted to Good Manufacturing Practices (GMP) and Good Laboratory Practices(GLP). 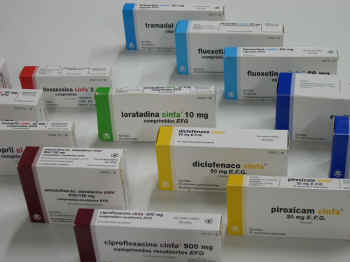 CINFA produces and markets generic pharmaceuticald, OTC and orthopedic products. Key therapeutic areas for CINFA-Generics division are: skeletal-muscle, digestive and metabolism, anti-infective, cardiovascular, respiratory and central-nervous system. CINFA has its own R&D unit. We invest 8% of our business volume in R&D&i, which is higher than the industry average. CINFAs immediate challenge is related to the international development of the company. Since 2002 CINFA has opened a subsidiary plant in Brazil, a good platform to reach the American markets. In 2003, we entered the Portuguese market with a commercial subsidiary. CINFA is currently selling its productos in 27 countries wordwide: Europe, Latin America and Northern Africa are our priority geographical areas.